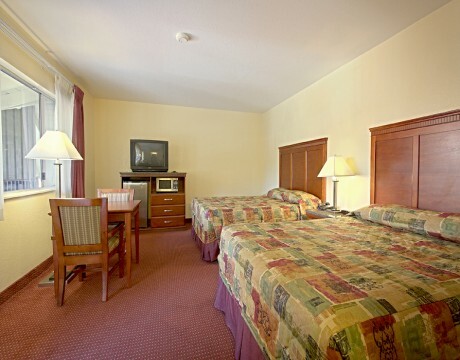 Our most economical offering is the cozy Queen Room that features a pillow-top mattress with comfy linens. 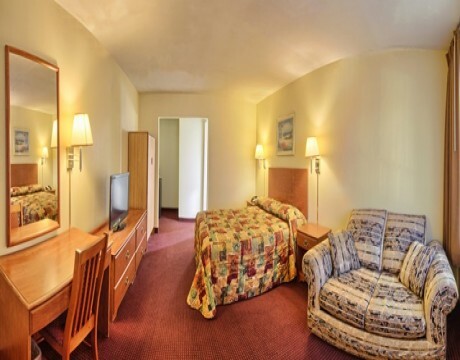 For your added comfort this room features a microwave, refrigerator, coffee/tea maker with complimentary in-room coffee, a 27-inch TV, premium television programming with HBO and ESPN, and a work desk with free WiFi. Queen Room with signature amenities for your comfort.